At Penn State–Allegheny, Young oversees library operations, budgeting, and collection development. She participates in library instruction, reference, and research mentoring while developing and evaluating collections, resources, and services in support of the university’s diversity initiatives. She is an adviser to students in the university’s honors program and to undergraduates majoring in applied psychology. Young has served as a librarian within the Penn State system for nearly 16 years, first as a social sciences librarian and assistant professor of women’s studies at the University Park campus, then as reference librarian and associate professor of women’s studies at Beaver campus in Monaca. During her career, she has also held positions in libraries at Michigan State University and The Ohio State University. The author and co-author of dozens of academic articles and book reviews, Young is a frequent presenter at conferences across the country and around the world. She speaks on issues of leadership; advocacy and diversity; mentorship; and the role of libraries in the life of an institution, its students, and its faculty. Young was president of the American Library Association from 2014 to 2015. Today, she chairs the 58,000-member organization’s Executive Director Search Committee. 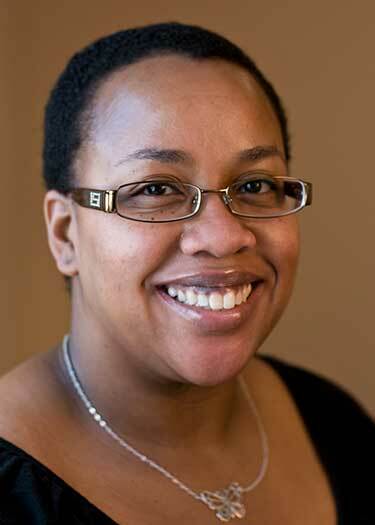 She is co-chair of the Association of College and Research Libraries Keynotes Committee. At Penn State–Allegheny, she serves on the Honors Program Committee and is a past member of the Tenure and Promotion Committee. Young sits on the editorial boards of Collaborative Librarianship; International Journal of Information, Diversity & Inclusion; and The Political Librarian. The recipient of numerous awards for distinguished service and achievement, Young is a past member of the alumni board at the College of Wooster, where she earned her bachelor’s degree in English, minoring in black studies and women’s studies before earning her master of science in library and information science from Simmons College.